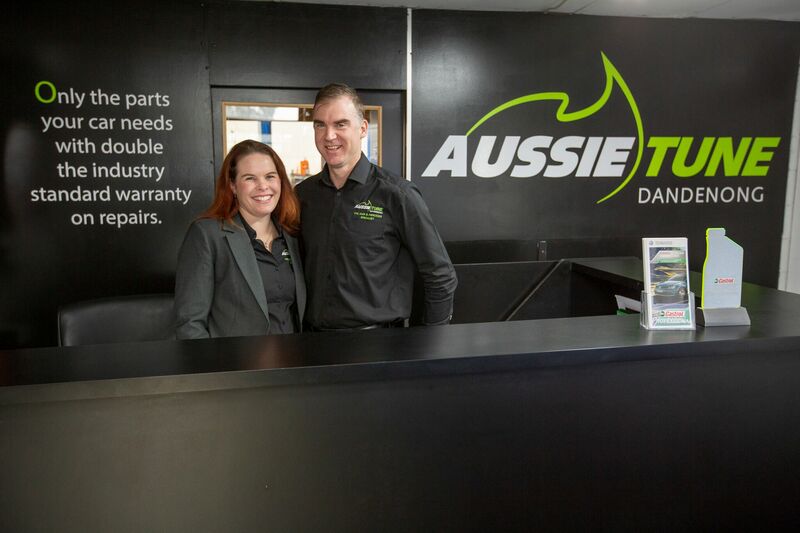 Aussie Tune Dandenong is family owned business purchased by the current owners Nigel and Rachel in 2006. Nigel completed his apprenticeship in a fast-paced independent workshop in Cranbourne in the late 1990s. Through his apprenticeship and time spent in a couple of dealerships and working for RACV breakdown, it set him up with knowledge and experience of a wide range of vehicles and expertise in their faults and repairs. We bring to our business a passion for showing value and honesty in the Automotive Industry and an eagerness to keep up with modern car technology. Cars are Nigel’s passion and we are pleased each day to be working with people who enjoy their cars and want to keep them working as they should, lasting longer and being informed about what is happening to their vehicles. Aussie Tune offers a wide range of automotive services and specializing in Volkswagen, Audi and Mercedes. Emphasis is on quality parts, quality work and advice and knowledge you can trust. At Aussie Tune, we pride ourselves on quality work and reliable service, with all work guaranteed. Our mission is to keep your vehicle safe, reliable and running at its peak performance and efficiency. To do this we have invested heavily in diagnostic equipment including two diagnostic computer scanners as well as regularly attending training courses on modern vehicle systems. We at Aussie Tune have access to all the repair information needed being members of Autodata, Auto Logic and IATN. We use only genuine or high-quality aftermarket parts. We don’t go ahead with any work without your approval. Having been in the industry for more than twenty years we believe that we have the knowledge and the experience to provide you with all your vehicle servicing and car repair needs.